When you have a disability, your financial future may be at stake. BCN Attorneys are committed to producing results and getting you the money you need to live and pay your bills. While the Social Security Administration offers various disability benefit is for children and adults, many applications are initially rejected and an appeals process must begin. BCN Attorneys want to help you receive the Social Security benefits you deserve, by helping you every step of the way. Similar to an insurance policy, Social Security Disability (SSD) provides benefit is to individuals who have worked and paid into Social Security taxes and who have become disabled. Criteria for qualification includes proof you are disabled, and have enough recent work credit is (usually, working at least five of the last ten years before your disability). Depending on circumstances, some people who do not have enough work credit could be eligible under a spouse or parent’s work record. To prove you are disabled, you must experience a medically determined physical or mental impairment that keeps you from working, that is expected to last for at least 12 months, or is expected to result in death. On the other hand, Supplemental Security Income (SSI) is a program designed for the elderly and individuals with disabilities who have limited income and assets. It is need based. To qualify, you must show you have a disability and have limited assets and income. Seeking the help of an SSD or SSI experienced attorney becomes immensely important after your initial application for Social Security Disability (SSD) or Supplemental Security Income (SSI) has been denied. In fact, most people who apply for either SSD or SSI are denied the first time. BCN Law Firm Attorneys can assist clients applying for SSD or SSI at every stage of the process, from initial application, to hearing, to appeal. We can help cut through the confusion. If you live in The Villages® Community or anywhere in the surrounding community, we’re here to help. We don’t want you to become discouraged and give up on the process. Many applicants are awarded benefit is once an appeal is launched. If your claim has been denied, we can ask for Reconsideration, or request a formal hearing. BCN Attorneys excel at this stage of the process, advocating fiercely on behalf of our clients. 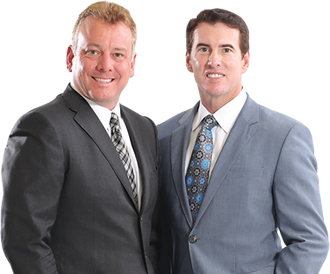 Whether you’re just starting to file a claim, or you believe your claim has been wrongfully denied, contact us for a free consultation*.